Every business is different and sometimes our customers face challenges that require unique solutions that don’t come “out-of-the-box”. We work with you to develop the right solution for your business needs. Perhaps your business doesn’t fit nicely into an industry “box”. You might have inventory, but you’re not strictly a distribution company. Maybe you’re a service company, but you have a product sales component as well. Or your business might be something else entirely. SAP Business One on its own is a flexible system that can be configured to meet the unique needs of your business. Add in the many industry solutions we work with and the possibilities are almost limitless. But you might have a requirement so specific to your business that we need to look at creating something new so it does exactly what you need. Whatever combination of needs you have, our experienced development team can create specialized systems that integrate with SAP Business One, or stand on their own, to solve your challenges and streamline your processes at the same time. The objective of this mobile app was to improve efficiency and competitiveness by applying organization-wide technological innovation to a 60 year old business model. The platform forms the information technology foundation for Canada’s largest network of moving companies, coordinating sales and operations activities for customer moves across more than 200 member locations. More importantly, the application is transitioning the organization’s disparate legacy systems to a new integrated platform, based on the latest cloud and mobile technologies, integrated with SAP Business One. Functionality is delivered by an integrated system of tailored stakeholder web portals and mobile applications. Canada’s largest potato producer approached ProjectLine to design and develop a made to measure solution that was tightly integrated with the core of their business management system, SAP Business One. The vision was to deploy an application that provided a production-friendly view of complex SAP Business One data, as well as functionality that supports processing and packing workflows across six production facilities. The application was deployed as a browser-based application and is accessed by production floor users via desktop workstations and touch screen devices. All data used by the application is stored within SAP Business One. 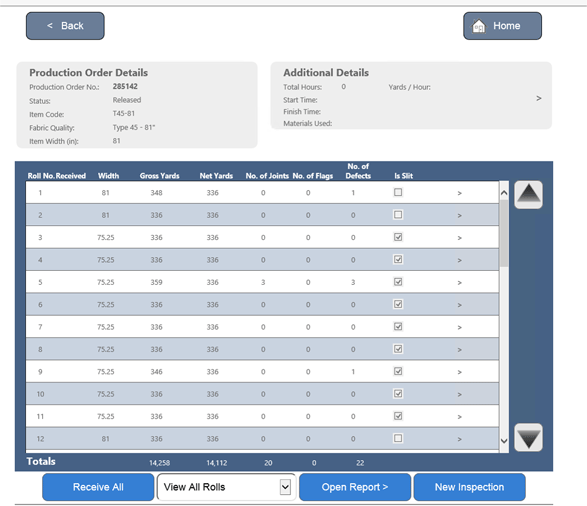 ProjectLine designed and developed a custom web-based shop floor application for a leading manufacturer of mine and tunnel ventilation products based on their existing SAP Business One installation. The made to measure solution addressed our customer’s unique shop floor requirements while integrating directly with SAP’s core manufacturing, inventory management and quality control functions. 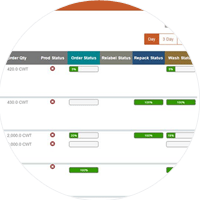 Key functionality provided by the application includes data capture for product-specific quality control, inventory receipt and lot tracking, and item-specific inventory tagging. The application was deployed via web browser and is accessed by production floor users via tablets and desktop workstations. All data used by the application is stored within SAP Business One. 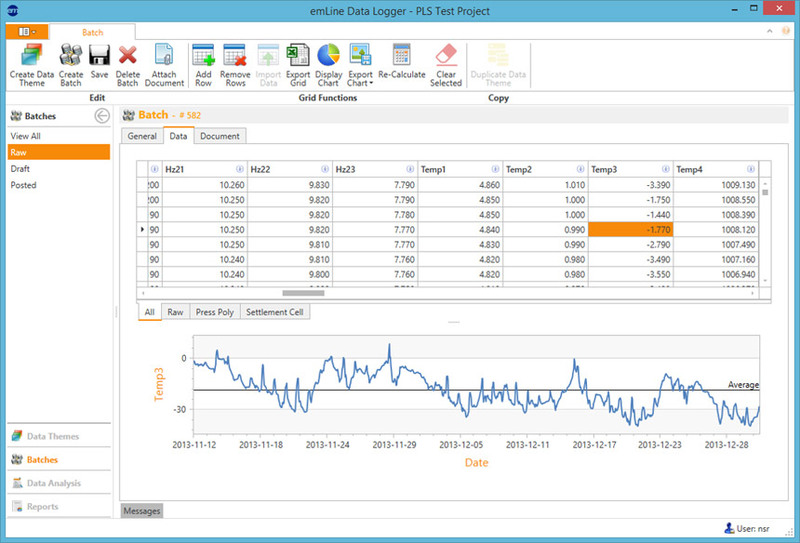 One of the first programs we ever developed, emLine is an Environmental Information Management System (EIMS) designed for mining and environmental companies. 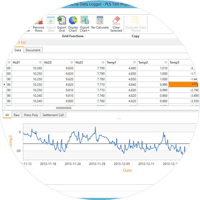 The fully web-based software consolidates all environmental sampling data into a single source application that handles data entry, standards, scheduling, lab data exchange and reporting. The original application was extended to include emLine DataLogger, which handles high frequency environmental condition data captured by data logger equipment. The solution is used across Canada and around the globe to support environmental remediation activities, including the Alberta Oilsands, New Zealand and Australia. The CommunityView Collaboration brings together community data from various organizations in an easy-to-use tool for researchers and the public to obtain data. The goal is to provide relevant, reliable, local information to inform planning, decision making and policy development for Saskatoon and surrounding area. 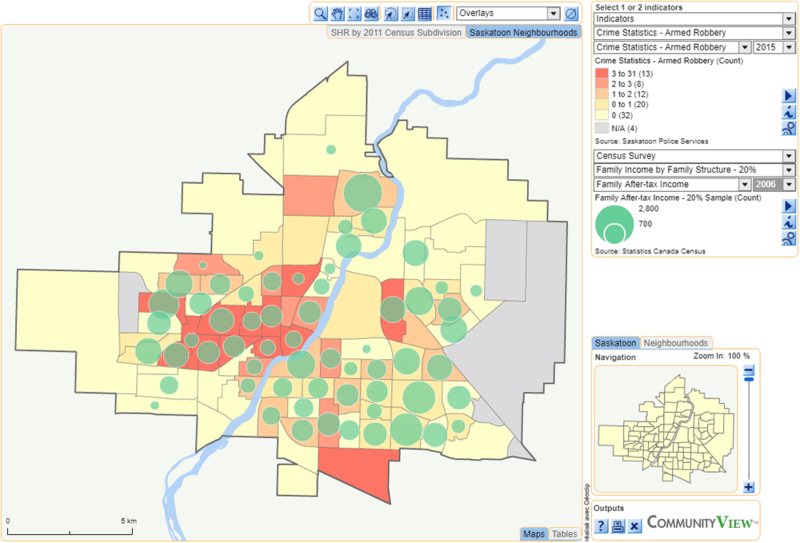 We partnered with the Saskatoon Health Region and City of Saskatoon to create the CommunityView Resource Catalog software. 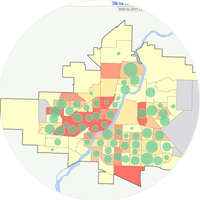 This web-based application allows you to create customized maps of the greater Saskatoon area, with layered resources based on Census variables and indicators. 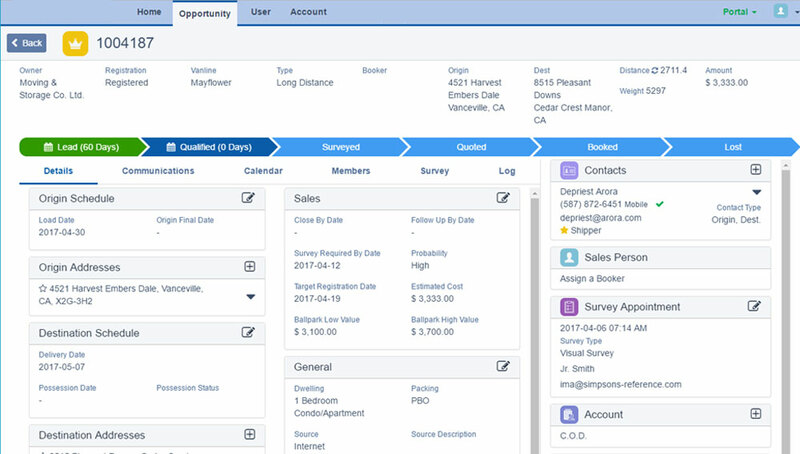 Although not integrated with SAP, this application queries data from multiple providers, including health, census, crime, city demographics, and others, to provide context to socio-economic indicators that otherwise could not be easily related. In 2001, ProjectLine was contracted to design and develop the original CamRAD system, an enterprise-level radiation data management system deployed to mining operations in Saskatchewan, Kazakhstan and the USA. The solution was delivered in a fully browser-based application, the first of its kind in 2001, and integrated with SAP R/3. After more than 10 years in operation around the globe, ProjectLine was again selected to deliver the next generation of the radiation safety system – CamRAD Enterprise. The scope of CamRAD Enterprise extended from global mining operations to complex fuel services divisions where uranium is refined and converted to products used in the production of fuel. Based on new technologies and the proven business designs implemented within previous CamRAD systems, CamRAD Enterprise was designed to lower system maintenance costs and provide rich system interfaces to end users. CamRAD Enterprise further provided an extended system life cycle and was future-proofed with extended capabilities for multi-language and mobility. Implemented in 2004, and still in use today, we provided highly customized SAP Business One functionality to a processor of pulse crops, such as lentils and chick peas. The organization contracts with producers to buy harvested crops, processes and packages them, and then ships to destinations around the globe. At the time this solution was developed, it was the most extensive SAP Business One customization in Canada. ProjectLine designed and developed a web-based application that integrates with SAP Business One to meet the project management requirements of a market research software provider. 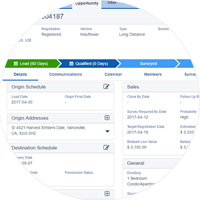 The web application allows for detailed project planning and tracking, including time entry and review, while linking directly to a project document in SAP Business One. These customizations serve as a foundation for managing all project-related costs, including labour and purchasing, and for reporting revenue accruals and gross margin, all within a single system. To eliminate data duplication and streamline the process for performing service work, ProjectLine developed a service module customization for a heavy equipment service provider. The customization allows technicians, management and accounting to use a single form to perform all tasks related to a Work Order, from initial creation, to specifying parts and labour, to invoicing. Integrated with SAP Business One, this web-based application was designed for an oil and gas services company, allowing them to record job data in the field, for billing and job costing. 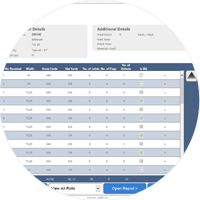 The field ticket module captures service call data, including personnel time that links directly to timesheet records, inventory consumption, and other services or expenses incurred. With a direct integration to their SAP Business One system, data recorded using the field ticket module is automatically updated in SAP for billing purposes. ProjectLine developed a complete reverse production system for an electronics waste recycling company. This made to measure solution integrates with SAP Business One to form an end-to-end system to manage the entire de-manufacturing process – from dismantling original equipment, to sorting and tracking raw materials, and management of the company’s recycling program. Ready to Discuss Solutions for Your Business? These are just some examples of solutions we have developed for our customers using SAP Business One as the core business platform. Lets chat about how we can solve your business challenges.